Ku-o Japanese Restaurant, Market Square, Sunnybank, Brisbane - my name is Food. 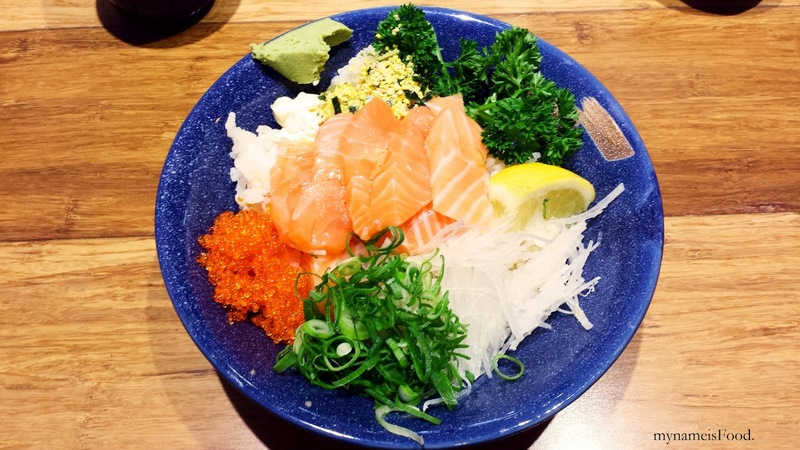 'Salmon Don' ($10.9) was a pretty dish to have and a simple one too. Fresh cuts of salmon fillets topped with spring onions, caviar, radish, a wedge of lemon, a dollop of wasabi and a small spoon of furikake. It was one of those dishes that can give you those fresh feelings, however what I think the dish lacked was sauce. It is suppose to outline the salmon, yes, but I would have liked it if it had some sauce on the side. I usually just drizzle some soy sauce over it to give it that extra flavour. 'Chicken Katsu Don' ($8.9) came out a bit messy when it arrived at our table. 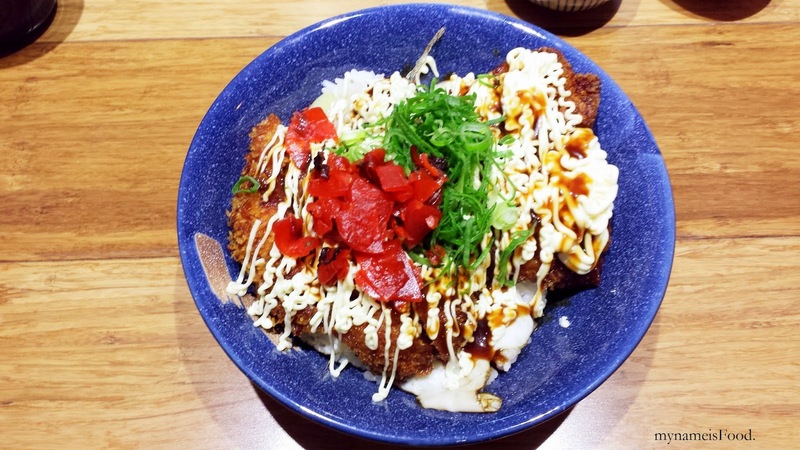 A simple chicken katsu over rice topped with red pickles, spring onions and lots of Japanese mayonnaise and also katsu sauce. I found that the chicken katsu could have been deep fried twice due to the dark coloured crumbs but I may be wrong. The mayonnaise was quite excessive and although I do like saucy dishes, but it would have been nice to have gotten more of the katsu sauce than the mayonnaise since it did not highlight the simplisticness of the dish. The rice was cooked well, not sticky nor dry, just right.